Learn about our company and how we helped a commercial claim go from 'DENIED' to settled for over 4 million dollars! We are a local licensed and fully insured general contractor having served in the Colorado area for over 20 years, since 1994. 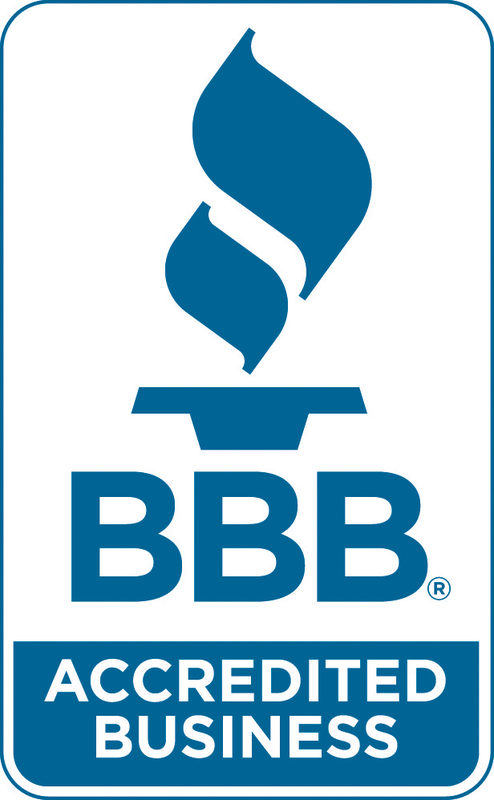 Our current staff has over 200 years of contract experience with thousands of completely satisfied customers as our A+ rating and Gold Star certificate from the Better Business Bureau reflects. We react quickly, provide professional service, and perform the highest quality work possible. Our references are impeccable and our reputation is spotless. It is our wish to exceed your expectations which will lead to referrals from you. We use the highest quality roofing products from companies like GAF, CertainTeed, Owens Corning, TAMKO, Decra, Boral, Westile and DaVinci, just to name a few. In our general contracting division we use such household names as American Standard, Delta, MOEN, Frigidaire, Koehler, Pella Windows, and Suntouch heated floor systems. We also use local vendors, Home Depot, Stone International, Dal Tile, and James Hardi. Past clients include companies such as 7-11, Amtrak, Grubb & Ellis, American Furniture Warehouse, St. Anthony Hospitals, The Sherman Agency, and Village Inn. We have earned the trust of these well known organizations but remain conscientious enough to treat your home like the castle that it is! We are members of the NRCA (National Roofing Contractors Association) and CRA (Colorado Roofing Association), certified GAF/Elk Weather Stopper Roofers, and have a HAAG Certified Inspector on staff (Joe Williams). We are fully licensed and insured in both liability and workman's comp. Our State ID is 20031368442. 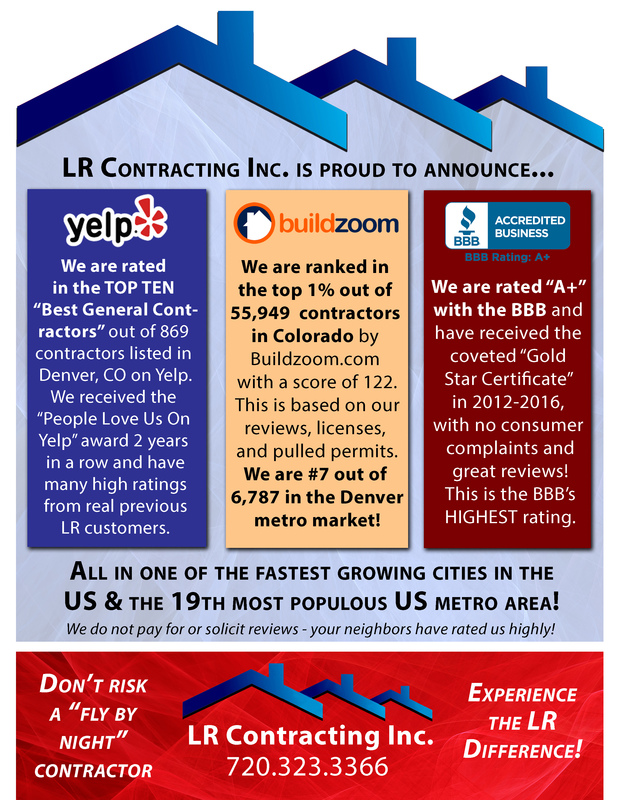 We would love to be your roofer, general contractor or PDR shop in Denver, CO or any of the surrounding areas such as Lakewood, Parker, Aurora, Centennial, or any other part of the Denver Metro area! If you have storm damage, wind damage, hail damage, or just want to upgrade your home contact us today at 720-323-3366.